Cave Dave is the hunter of a Stone Age clan. And his clan is always hungry. So he has to hunt rabbits so that its clan has something to eat. 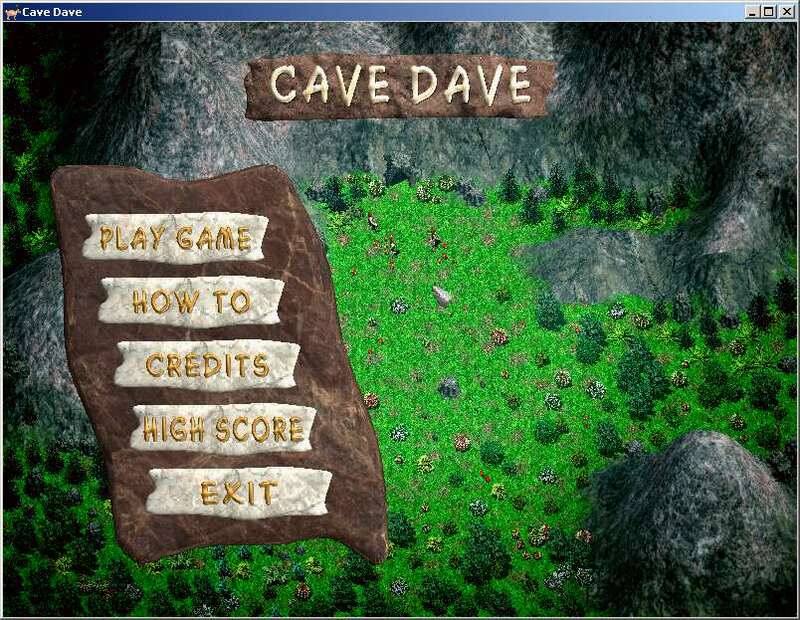 Cave Dave is a simple One Frame shooting game. 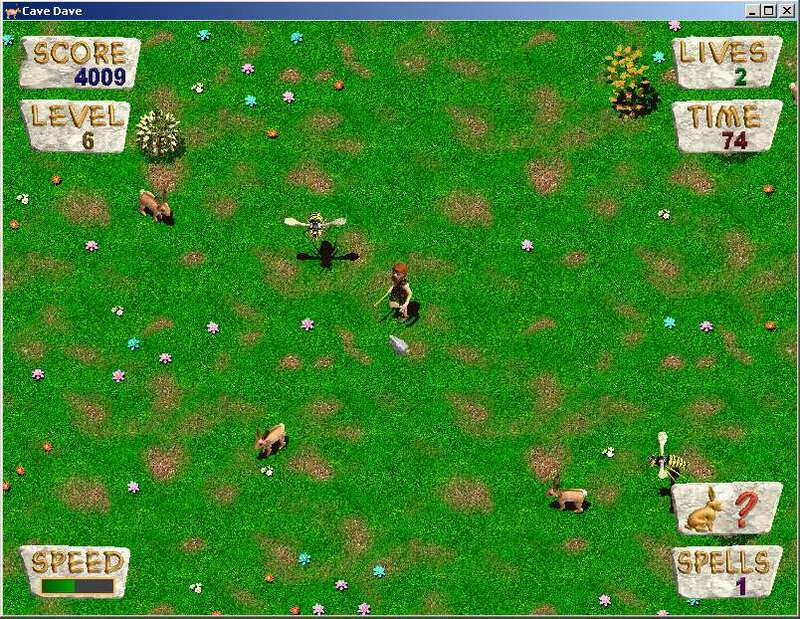 You explore a valley with Cave Dave, a cave man, and hunt rabbits. If you have shot all rabbits in the present level, it goes back to the home cave. And then the next level starts. Of course every hunting excursion is a little harder than the previous one. Such a valley is not quite harmless. You should avoid to run into the stone wall or the bushes. This hurts and costs a life. There are also several opponents which makes it not this easy for our Cave Dave. The neighbor clan for example. Or wild animals.